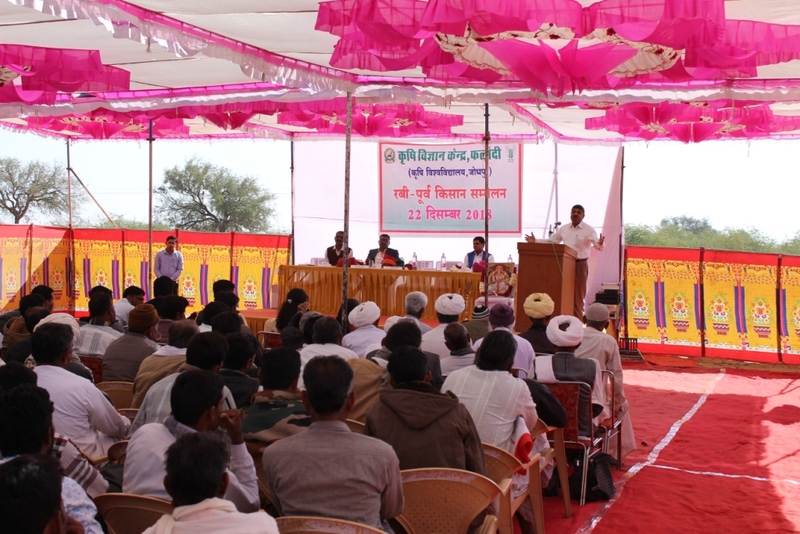 Krishi Vigyan Kendra Jodhpur II was established on 12 April, 2012 under the administrative control of SKRAU, Bikaner. With University area bifurcation, KVK Jodhpur II has comes under jurisdiction of Agriculture University, Jodhpur with effect from 14 September, 2013. KVK is innovative institute for transfer of front line technologies pertaining to agriculture and allied sectors on the principles of “Seeing is believing and learning by Doing”. KVK Jodhpur II is located in Phalodi Tehsil of Jodhpur district on Mohra village road. Any other important facility KVK was sanctioned in March 2012 and funds for infra-structure development will be released in fin. Year 2016-17 by ICAR New Delhi as per the information from Director, ATARI Jodhpur.